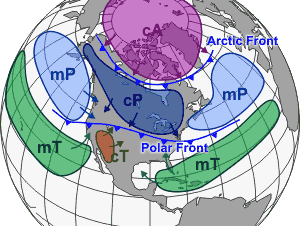 An air mass is a small volume of air defined by its temperature and water vapor content. Air mass Facts for Kids. Kiddle Encyclopedia.